Expert HGH Doctors in Jacksonville, Florida, specializing in Hormone Replacement Therapy, including Testosterone Therapy and HGH Therapy (Human Growth Hormone Therapy). Ehormones MD Jacksonville has personalized age management and HRT Programs that can help you feel yourself again. 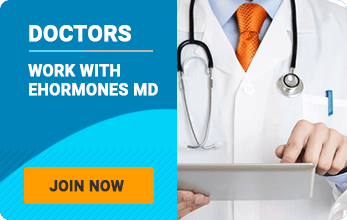 Our Ehormones MD HGH Doctors in Jacksonville offer the most advanced hormone testing to diagnose and recommend the best HGH Therapy and Testosterone Replacement Therapy Program for you. It is a scientific fact that as we age our HGH and Testosterone levels decline. Ask yourself, are you suffering from any of the following low testosterone symptoms? Virtually every man will experience low testosterone and low hgh in his lifetime. In fact, many men start to experience the side effects as young as age 30. Thankfully, there is a solution. HGH Therapy and Testosterone Replacement Therapy can give a man his life back. It’s time to enjoy your life again.